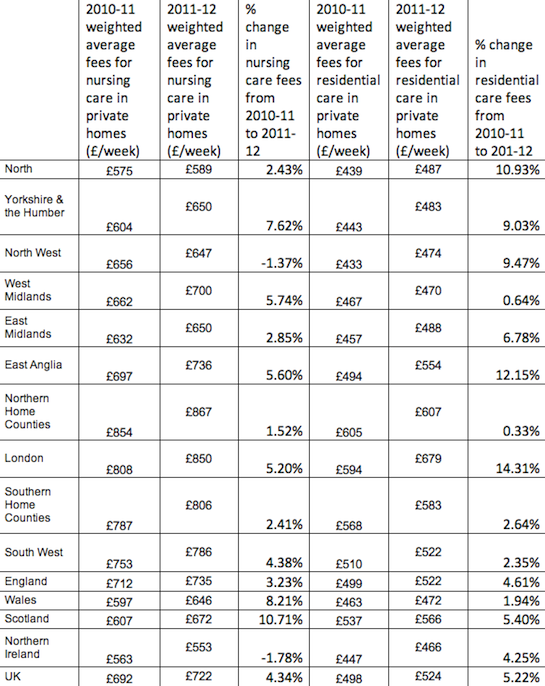 It means price hikes - far more than inflation, in some cases - from some care home providers to ensure they maintain profit levels. In some cases, annual care home charges have hit more than £45,000 a year. The pressure on costs is seeing more pensioners selling their home to pay for the fees - especially for those with savings of more than £23,500, so-called 'self-funders'. It's thought more than 20,000 pensioners have to put their homes on the market each year in order to meet care home costs. The increase on fees isn't just coming on the back of government cuts; it's also being driven, partly, by the rise in energy costs (which providers have to absorb) and pressure on wage bills - general inflation pressure. Significantly, last year a judicial review concluded that Merseyside-based Sefton Council could not impose a fee freeze on local care home operators for a two-year period. Judge Philip Raynor said pressure on funding could not excuse a council council from its duties under common law. However, this is an argument that may run and run as the cuts continue. "Care home residents aren't in a position to move and shop around for more affordable deals," Age UK Director General Michelle Mitchell says. "And for those who self-fund, the low interest earned from savings accounts won't provide these price increases. Older people in residential care need a fair deal when they are paying for their care." She added: "Age UK research shows that despite additional Government funding, there is still a current social care under funding shortfall of £500 million. To tackle this immediate crisis, the Government has to recognise and close the gap in social care spending." Sourced from AOL Money, 27th February 2012.